The “Fear of the Lord” is opposite the fear of evil. 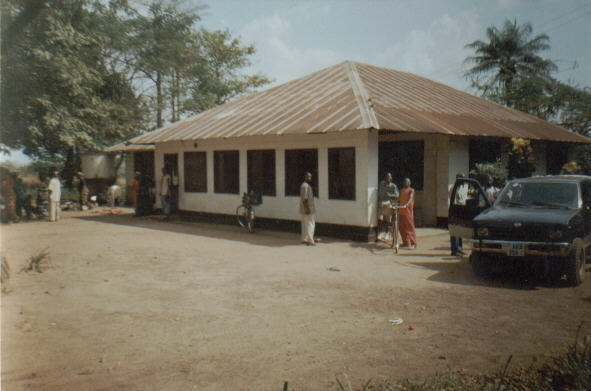 Some years ago we were living in the village of Medina—about 2,000 people—Sierra Leone, West Africa. One night well after dark there was a knock on the door. Several men from the regent chief were standing outside. They asked me to bring my little blue Mazda B1600 pickup to the chief’s house. When we were on our way they told me to turn off the head lights—because someone might see us. They loaded the sick regent chief into the back of the truck and we took him to another house. The pastor of the local church explained it to me the next day. They believed the chief’s sickness was caused by a witch. If they could move him secretly, the witch would not know where he was. The fear of curses and swears, of jealousy and malicious intent were a staple of life. From this fear Christ would set us free. The “Fear of the Lord,” however, is our trepidation before infinite good. It is our accountability before the almighty Creator of the universe who himself is pure self-giving love without stain of evil. Who can truly behold the vast universe that He has created without trembling before the Maker. Although the Cross through which God has redeemed us delivers us from condemnation, it does not diminish the “Fear of the Lord.” The work of redemption only intensifies our awe and trembling before a holy God. Sin is so horrible and God’s judgment on the sinner is so terrible that nothing less than the Cross was sufficient to remove its stain. Roberto Stevenson, one of the students in the class, suggested that “the Fear of the Lord” in 2 Corinthians 5:11 was actually the “Fear of Christ.” After all, Paul says in 5:10 that we must all appear before “the judgment seat of Christ.” Yes, you say, but the Cross also reveals the great love of God in Christ—look at 2 Corinthians 5:14-15. There “Christ died for all.” It was there that God “made [Christ] who knew no sin to be sin for us” (2 Corinthians 5:21). Doesn’t the fact that the God of the universe would go to such lengths for our salvation add to our trembling? The wonder of what he has done—and the realization that to reject him is to also reject “such a great salvation.” No wonder Paul said, “Because we know the fear of the Lord, we persuade people” to receive God’s offer of reconciliation in Christ.